How do we plan a Christmas service so good people want to come back? 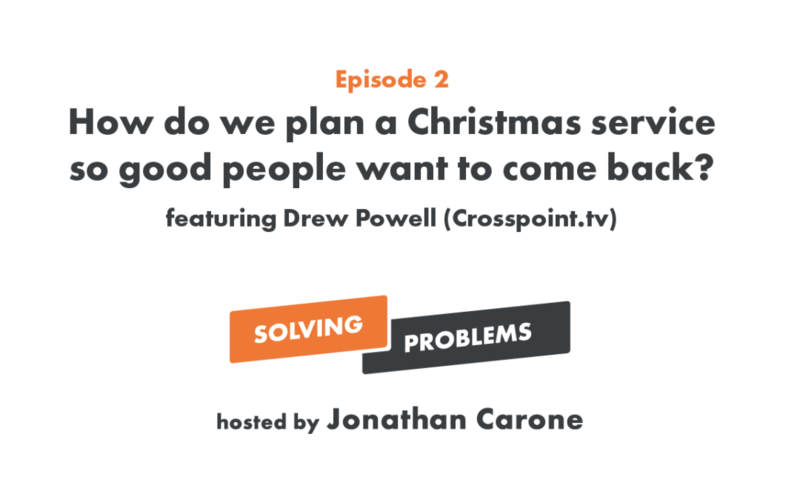 This week we talk to Drew Powell from Crosspoint Church about who the Christmas service is designed to reach (6:49), how we get people to come back in January (12:18) and how we keep kids engaged in a Christmas Eve service (20:45). Plus we discuss how to leverage your pastor’s influence to reach people (25:03) and have another quick tip for you to implement (30:52). Featuring Jonathan Carone, Kyler Nixon, and Drew Powell.